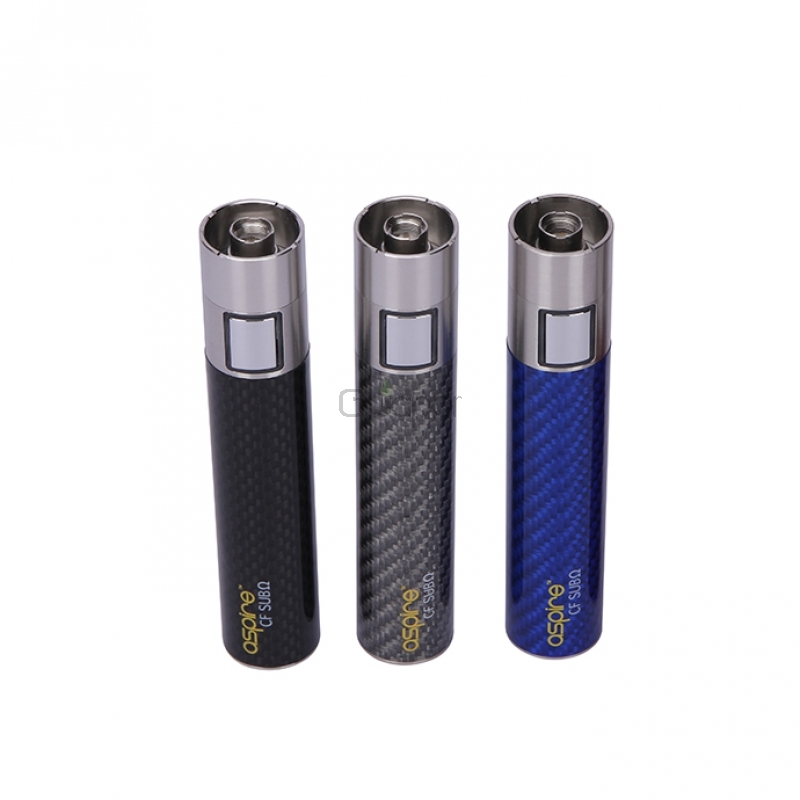 The Aspire CF SUB Ohm battery is an upgraded version of the CF mod. It has a 2000mah battery housed in and the cap at the bottom can not be removed. So the CF SUB Ohm battery can charge by older chargers. 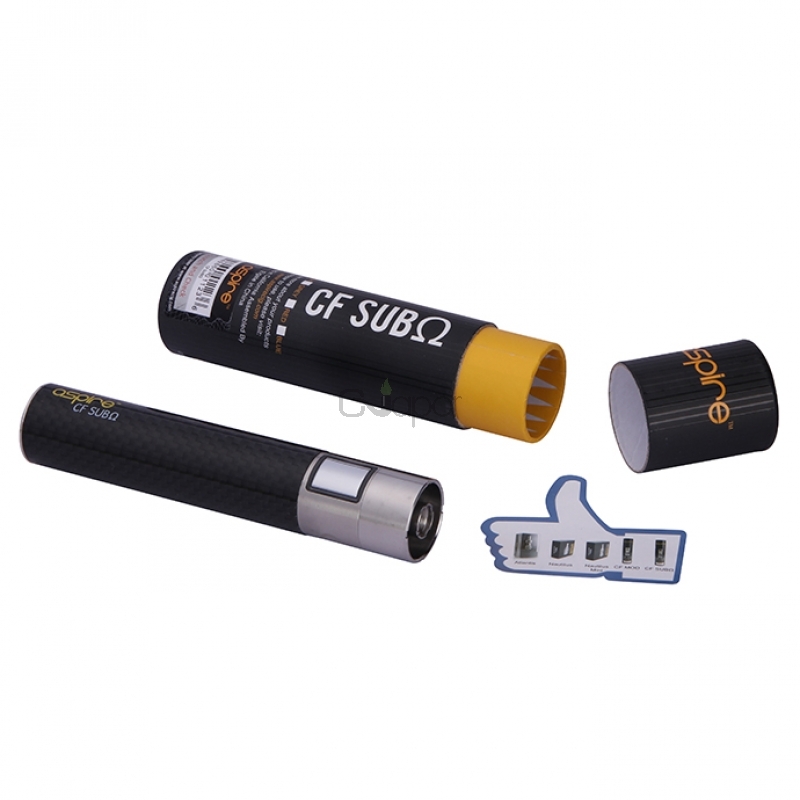 The CF SUB Ohm battery features stainless steel endpoints, a metal button, and a carbon fiber coated tube. And it contains a revolutionary spring connector, which ensures a strong connection between the battery and e-cigarette tank. 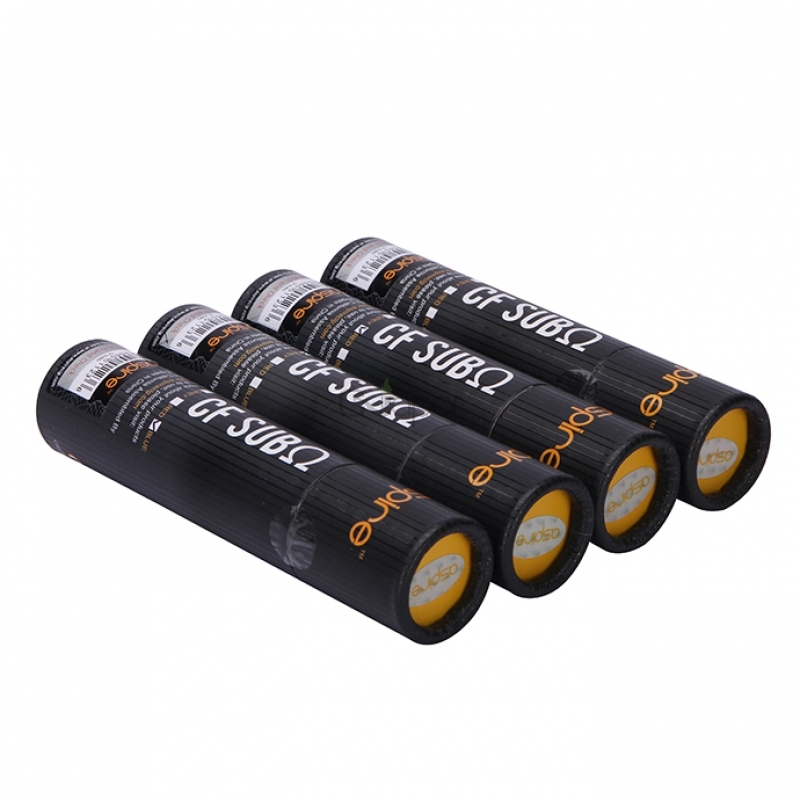 The structural design and control circuit of this battery series makes using it extremely reliable and stable. Aspire CF SUB Ohm battery supplies intense power for low resistance atomizer from 0.3ohm to 1.0ohm. Plug the USB into the supplied wall charger or computer. The battery will flash 3 times and then turn solid in color (Orange light in 3.2-3.5V, Blue light in 3.5-4.15V). -Overcharge Protection: When battery is overcharged (voltage beyond 4.25V), the built-in microchip will automatically stop battery charging. -Overdischarge Protection: When battery cell voltage is less than 3.2V (low battery), the atomizer will remain OFF, and the Orange LED light will blink 15 times. -Charging Short Circuit Protection: If the charger is short-circuited while charging, the battery will default to OFF position, stop charging, and the LED lights (both colors) will flash 6 times. -Lock and Unlock Function: To lock the battery, press the button 5 times in succession in 2 seconds. The LED lights (both colors) will flash 3 times. Repeat this procedure or recharge to unlock.